As much as I love indulging in all different kinds of beauty treatments, facials have never really been at the top of my list. Although they can feel good and leave me relaxed, even a mediocre massage will help me unwind better than a facial. The benefits promised are also never really evident for me – my normally happy, easy-going skin is always blotchy and extra-sensitive for days after, and I have never truly understood the perks of severe picking. Extractions hurt and only create blemishes I couldn’t see before getting my face gouged – I’m a not a neat freak in any aspect of life, and truthfully, if a little dirt is so deep under my pores that not only is it invisible, it harmlessly exists without causing breakouts, then I don’t mind it being there in the first place. Imagining some magic wand infusing glow-inducing vitamins directly into my skin, I practically skipped to my appointment at The Simcoe Place Health Clinic. Situated in the underground maze of Simcoe Place, the state-of-the-art facility is designed with both the comfort and well being of the patients in mind. 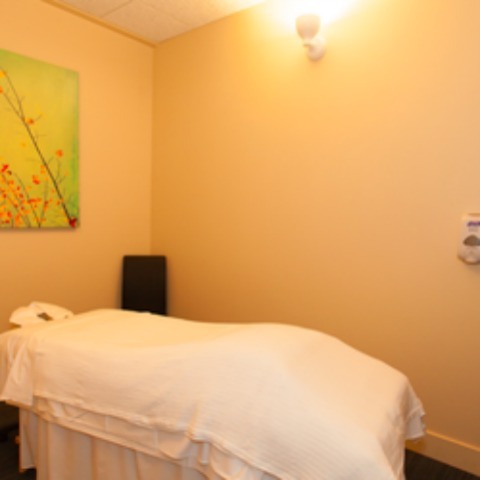 The plush office was welcoming and warm, and with its laundry list of professionally administered treatments, from naturopathic medicine to nutrition services to physiotherapy, the integrative clinic has all kinds of medical professionals (medical doctors, naturopath doctors, physics, etc.) working well together under one roof. Dr. Tamarah Chaddah, the well-dressed, friendly (and glowy!) Naturopathic Doctor who administered my Mesotherapy Vitamin Facial, led me into a doctor’s office-looking room upon my arrival to discuss the treatment first. This is where I naively discovered there would be no magical wand to infuse the vitamins, but rather a needle. Actually, many, many needles. All over my face. I wanted to keep my cool – I mean, I should have known this is what mesotherapy was, right? Even though this gave me the utmost confidence in what results could be achieved, I still melted into a puddle of squeamishness when the time came for the injections. The good doctor soothed my nerves and offered to test it on my hand first, ensuring I knew the treatment is a gentle one. I instantly felt relieved at the sincere lack of pain experienced on my hand, much like when my entire face was methodically worked over. Still chatting, the time passed quickly and virtually painlessly with talks of NARS makeup and beauty tips. This led to the topic of Cara Delevingne’s recent Instagram photo of both arms laced with IVs, captioned “IV drippin”; no, the model wasn’t in a critically ill condition, but rather using an IV to potently and instantly deliver essential vitamins and nutrients. An Instragram photo from Cara Delevingne, captioned “IV drippin”. With a micro-injection facial enough for me for one day, my face was soothed with a clay mask and sealed with a serum post-treatment. Surprisingly, there was no after-sting, and not a trace of redness or puffiness. I was advised to skip makeup for the rest of the day, and abiding like the good beauty junkie that I am, only piled on mascara and swiped on a bold lipstick for an event that night. The best part of my look? Definitely my skin, which was confirmed when numerous people told me how glowing it looked.